Utilize the soft touch button to choose one of 3 brightness levels to accommodate different lighting environments. 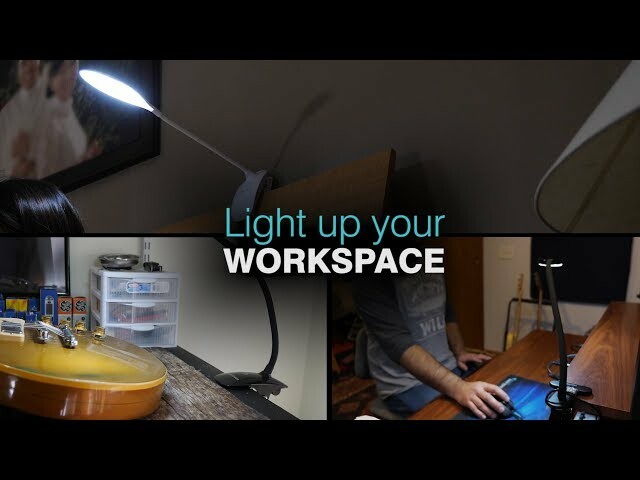 The lamp head has 27 bright LED's to efficiently light the desired area. The metal clip has the ability to span 2.5 inches and is great for clamping onto music stands, pianos, bedside tables, work tables, mixing tables, computer desks, craft tables and many more. Extra strong metal construction will clip securely onto almost anything. The black rubber covered, metal goose neck as the ability to swivel and move 360° optimizing your lighting conditions. 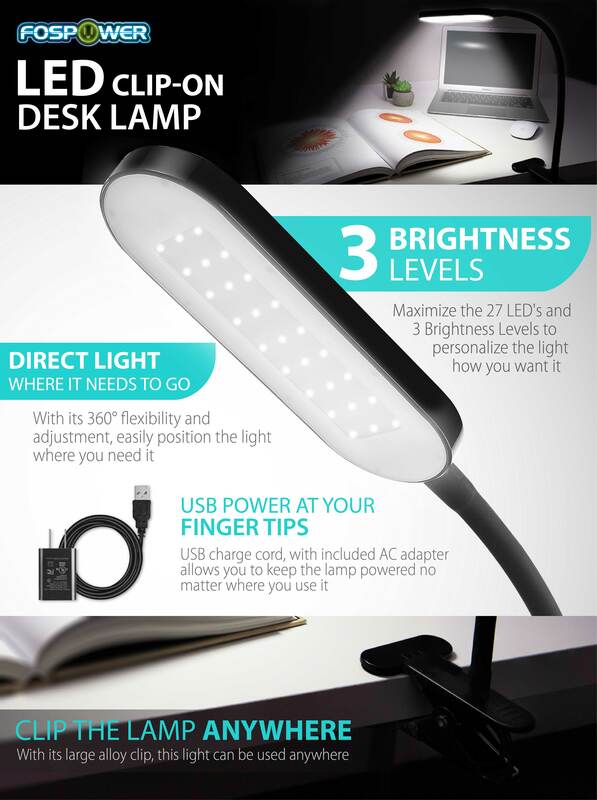 Power the LED lamp with either the USB cable or the included USB to AC adapter.